Most of us want quick, easy ways to get a practical and attractive hairstyle, but did you know that some of the things you do to tame and style your hair every day could actually be doing more damage than good? If you regularly curl or flat iron your hair whilst it’s wet, are guilty of yanking tangles out of your hair with your brush or wash your hair every single day, you could be causing more damage to your locks than you realize. We’ve put together some common haircare methods that actually do more harm than good to your hair, and what to do instead. Have you ever been late for work, so you straightened your hair when it was wet and hoped for the best? Although this may be a quicker way of getting the style that you need without blow-drying first, it can have dire consequences for your hair. 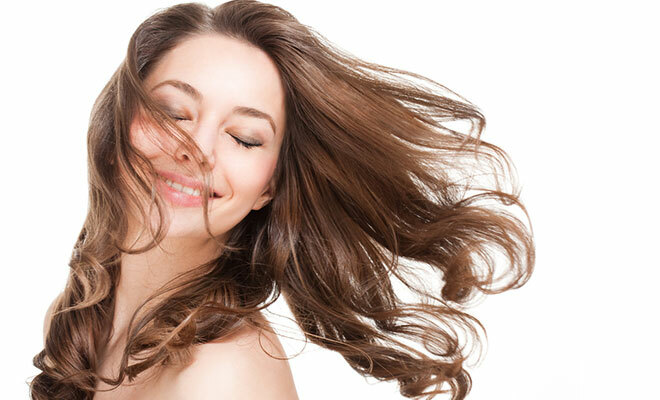 Since wet hair is more liable to damage than dry hair, it’s even more vulnerable when it comes into contact with heat. In fact, wet hair is more likely to ‘pop’ when using heat tools due to the water and heat coming into contact, which can burn your hair and cause lasting damage. Instead, blow dry your hair and skip heat styling – try a ponytail or bun that can be achieved heat-free. If your hair gets greasy very quickly, then you may be tempted to wash it more regularly to keep it looking its best. However, the more you wash your hair, the faster it will become greasy and limp. Many women and men wash their hair every day to keep it looking clean and fresh, however, this is also stripping your locks of their natural oils and preventing them from replenishing, which will dry your hair out over time leaving it looking brittle and tired. Try different hairstyles or wearing headbands and headscarves if needed and avoid washing your hair for several days. This will help you get into a routine where your hair needs washing less often. Try these shampoo and conditioner products for repairing dry/damaged hair. With so many jobs today requiring long hair to be tied back, it’s no surprise that tight hairstyles are causing more damage to hair than ever before. If you always have your hair scalped back into a tight ponytail or bun to keep it out of your way, the constant pull and tug on your scalp can cause the hair to thin or break. In severe cases, it can lead to traction alopecia – a condition that causes hair loss due to too much pressure on the scalp. Lastly, brushing using incorrect methods or the wrong tools can also damage your hair. You should never brush wet hair unless using a wide-toothed comb or specially designed wet brush; doing so can easily break the hair and cause the ends to split. Avoid over- and under-brushing, and always brush tangles out from the bottom up. Are you guilty of any of these haircare mistakes? We’d love to hear from you in the comments.